Danette Andrews is a long-time top producing agent on the island of Kauai. She works with both buyers and sellers, providing her extensive knowledge and expertise to each client through the often complex process of buying or selling real estate here on the island. Danette’s specialty is service – not just during the sale, but long after as well. She prides herself in providing the highest level of customer service and is committed to making each transaction, and the related life transition, as smooth as possible for her clients. The majority of Danette’s business is generated from referrals and her clients’ satisfaction is apparent when reviewing Danette’s success. Having started her career with CENTURY 21 All Islands, a statewide brokerage, she consistently placed on the firm’s top 20 list, achieving Centurion Top Producer status 2003 to 2015 and receiving the coveted Quality Service Award. Danette is a high-end market leader as Director of Luxury Division for CENTURY 21 All Islands. 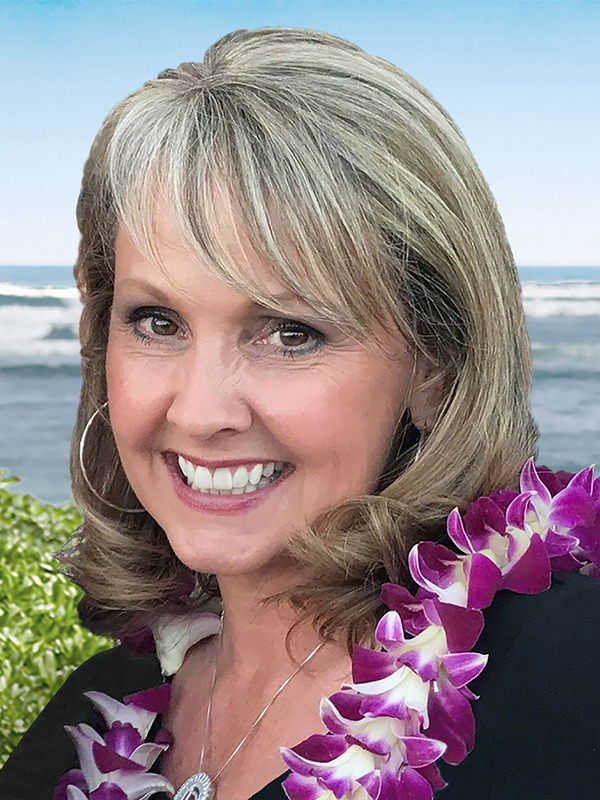 Danette has been recognized by the Hawaii Business Magazine as a Top 100 agent in the state and she is a member of the Kauai Board of Realtors’ Top 20 Club. She closed Kauai’s highest residential sale for 2012 at $9.7 million. Having extensive experience marketing high-end properties she has earned the Certified Luxury Home Marketing Specialist designation from the Institute of Luxury Home Marketing with added recognition in the Million Dollar Guild. She is the number one Realtor in the resort community of Princeville having the highest sales volume for both homes and condominiums over the last 10 years. Danette also services many other areas of the island as well. Danette loves sharing the local treasures of the island with her clients who quickly become her friends. Danette also enjoys giving back to the community. She served as the PTSA President at Hanalei Elementary School for two and a half years and has assisted in many fundraisers over the years. She donates time and energy to Habitat for Humanity, the Salvation Army, the Kauai Food Bank, the Kauai Friendship House and the local schools. Danette is currently serving on the Ethics Committee for the Kauai Board of Realtors. Contact Danette today to discuss real estate on the beautiful island of Kauai!